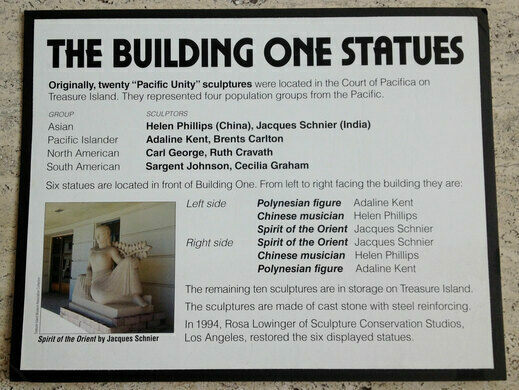 Twenty sculptures were commissioned by prominent sculptors for the Court of Pacifica, representing the different cultures of the Pacific nations. Most were created with cast stone and steel reinforcement, and have survived to this day - however, four of the originals, made of less permanent materials have been lost. 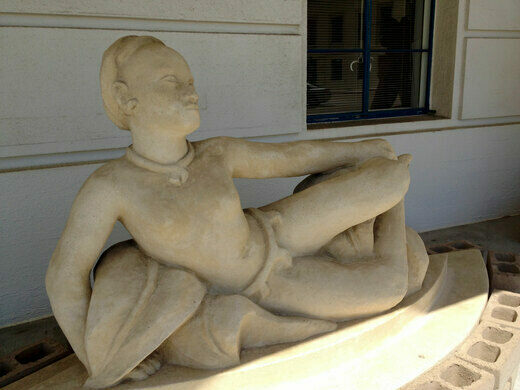 San Francisco's oldest operating hotel, with a Victorian atmosphere and a "haunted" fourth floor. 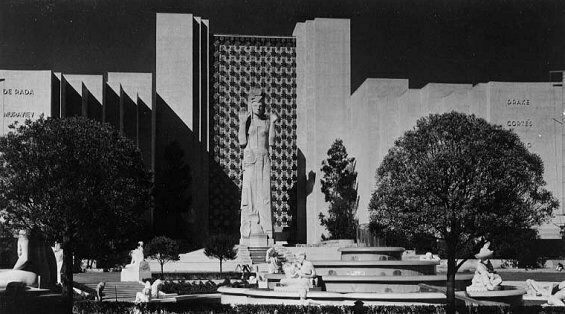 The statues were once dwarfed by the enormous statue of Pacifica, goddess of the Pacific and symbol of the Golden Gate International Exposition. 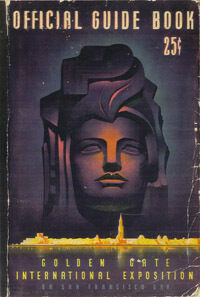 Designed by sculptor Ralph Stackpole, she towered 80ft tall, constructed of an iron frame covered with wire mesh, and finally smoothed with a layer of plaster. Stackpole labored for two years to bring this massive beauty to life - 50 scale models were built before one was selected and painstakingly enlarged from 10ft to 80ft tall. 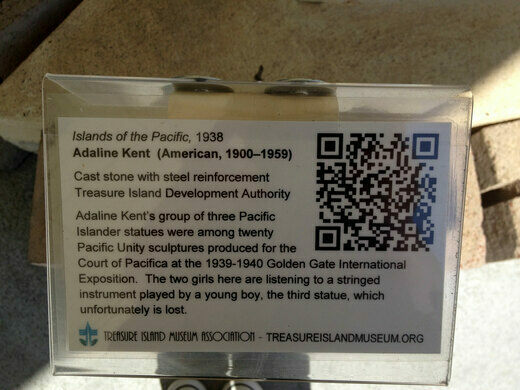 Sadly for us, in 1941, when the United States Navy took over the island, she was unceremoniously demolished and hauled off with the rest of the rubble from the great exposition, leaving behind only her more modest attendants. 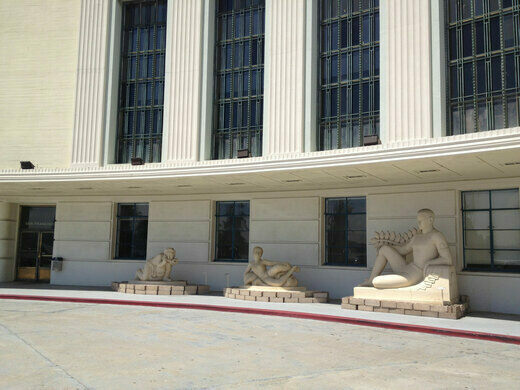 Six of the sculptures have been recently restored and replaced in front of Building One, the fair’s administration building. 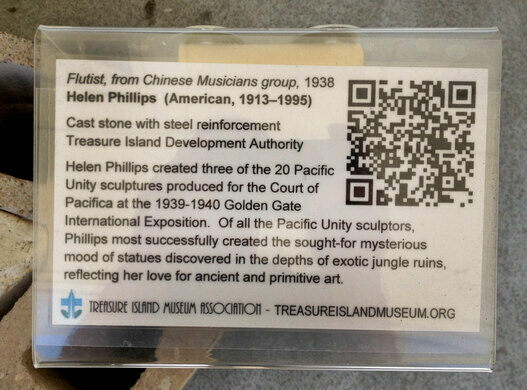 The remaining ten are held in the Treasure Island Museum’s safe storage, waiting for their opportunity to come back out in the sun. 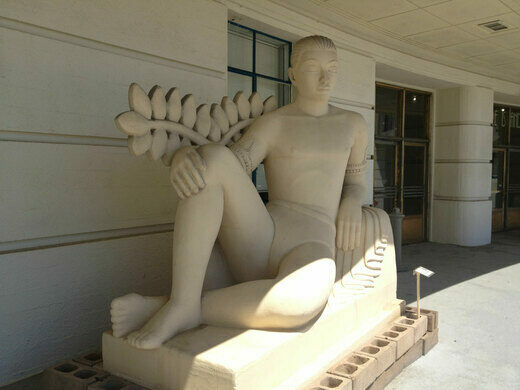 Today the non-profit organization, The Pacifica II Statue Project, is working on recreating and re-installing the statue. 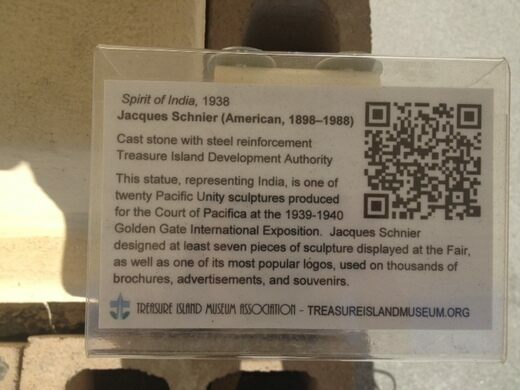 Currently a 8ft replica can be found at the City College of San Francisco. 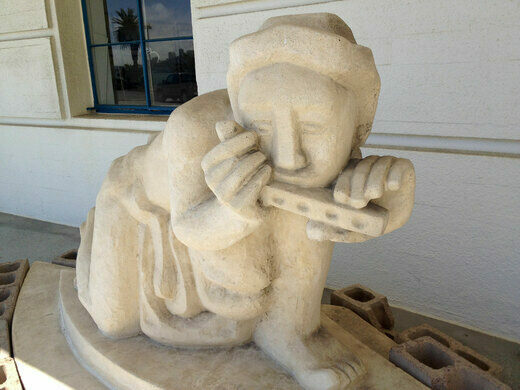 The six restored statues are located outside Building One on Treasure Island.